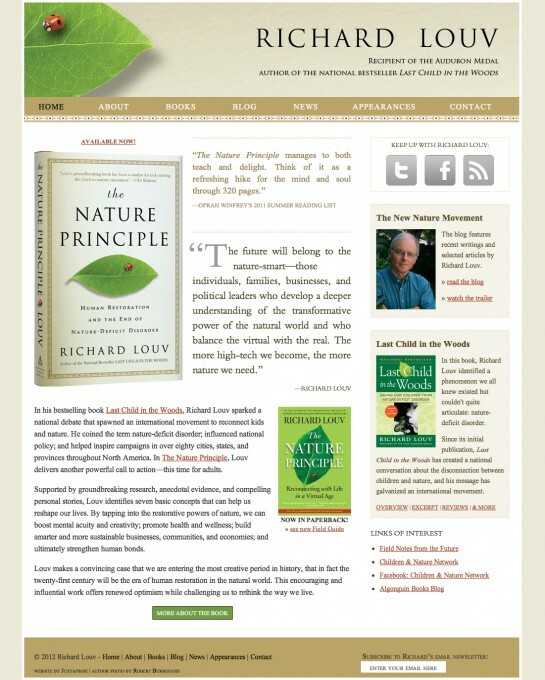 We've worked on Richard Louv's site since 2008, when we first designed and built his site for the revised edition of his bestseller, Last Child in the Woods. Since then, we've continued to work with him and his publisher, Algonquin Books, to brand his site around his latest book, and keep the back-end, and content management system, functioning smoothly. This latest design is based on the hardcover edition of his book, The Nature Principle.